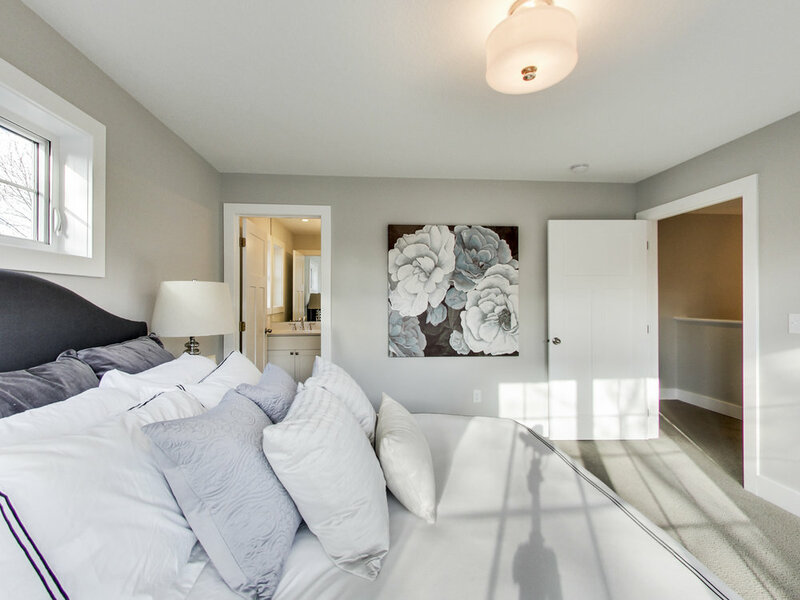 A master bedroom with a large walk-in closet is a must for many homeowners! Older homes are not known for their storage space, especially not for walk-in closets. Our goal for this bedroom was to have lots of light, windows, and storage to maximize the space. A semi-flush mount light offers a simple and classic style to the space. This large closet looks awesome with a sparkling crystal drum chandelier! We used white melamine to create a closet organizer for the large space.